An earlier report in TOI states that the state government had allotted approximately 12 acres of land to Malti Vasant Heart Trust for a 30-year lease period at a token rate of Rs 1 per year. 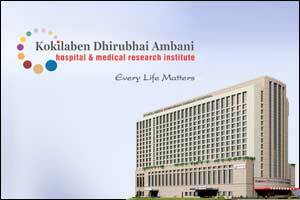 The trust, along with the Ambani Group built up the hospital in 2009 naming it Kokilaben Dhirubhai Ambani Hospital and Medical Research Institute. Both Tina and Anil Ambani are currently the trustees of the trust. Since 2010, objections are being raised by the revenue department over the nature of the operations and allegations of violations such as changing the trustees without taking permission from the state government. The revenue department is reported to have written to the trust stating that with the breach of the conditions, the government should either take over the land allotted to the trust or charge 75% of the unearned income according to the plot’s value. “Therefore, as per the 2008 ready reckoner rate, the total value of the land was Rs 233 crore, the 75 per cent amounting to Rs 174 crore has to be recovered from Reliance,” says an order by the Mumbai suburban collector. DNA has a copy of the government order. “Besides, Tina Ambani in her letter to Chief Minister in 2009 said that this said hospital is the flagship project by Anil Dhirubhai Ambani. She had also claimed that they had invested Rs 291 crore for the development of this hospital. It shows that the Malti Vasant Heart Trust property has been controlled by Anil Ambani. While developing this hospital, Ambani had availed the floor space index of 5. “The said objected space is not the office of the Reliance company, but it is the administrative building where research has been conducted on various diseases. While the food court has been used by the relatives of the patients and visitors. This is one of the essential sort of the facilities in the hospital and the gift shop is for the visitors and relatives. People buy gifts and give them to patients, mostly the child patients,” the Trust said in its reply to the Mumbai suburban collector. A centre for a real advanced health care facility in India. Someone in Maha Govt was displeased and his hands were not greased. Catch hold all Mumbaikars who have encroached govt land. The Trust has created a world class hospital in a country that severely lacks advanced health care facilities. The country and government should be grateful to them for having done what government should be doing for its citizens. In fact the government should pay them 174 cr!! This is not a hospital. The doctors, management are more business man than doctors.